Renovations to the Anegada Community Clinic are complete and a new ambulance has been purchased to improve the quality of healthcare services offered to residents. The project included works and improvements to the clinic’s roof, windows, electrical, exterior wall and floor finishing. The enhancements are expected to improve the level of compliance with electrical, fire and disability codes and acts. The ambulance was purchased to cater to the emergency needs of the people. Head of Community Services within the BVI Health Services Authority, Mrs. Lucy Martin said the overall goal of this gesture is to improve all community services Territory-wide to keep in line with BVI Health Services Authority motto, ‘Only Excellence Counts’. 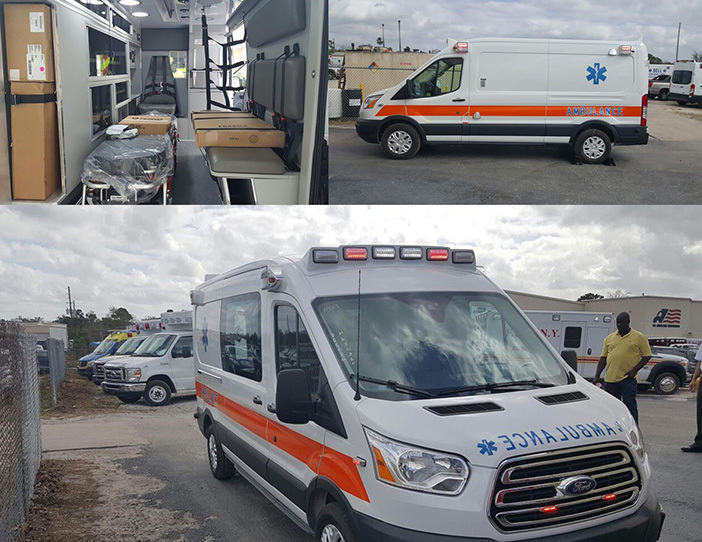 The ambulance is a custom made two wheel drive 2016 Ford Transit 250 that has a cost $79,764, with differential slip to aid driving on flat and sandy roads on Anegada. The ambulance is also fitted with a six-point seatbelt which is the latest feature compared to earlier models. The Ministry of Health and Social Development remains committed to improving the overall healthcare for the people of the Virgin Islands and aspire to provide a caring and integrated system of health and social services that facilitates human development and improves the quality of life in the Virgin Islands.